The Imperial Japanese attacked Pearl Harbor on this day in 1941. Back in 1970 I was a teenage seaman stationed aboard the USS Kitty Hawk as the aircraft carrier headed towards "Yankee Station," off the coast of Vietnam. 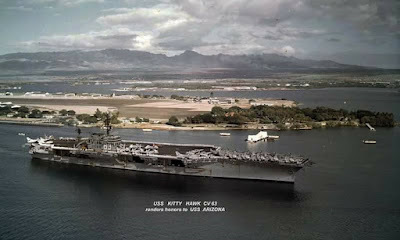 On the way, we made a port-of-call to Pearl Harbor in Hawaii and sailed by the USS Arizona Memorial. 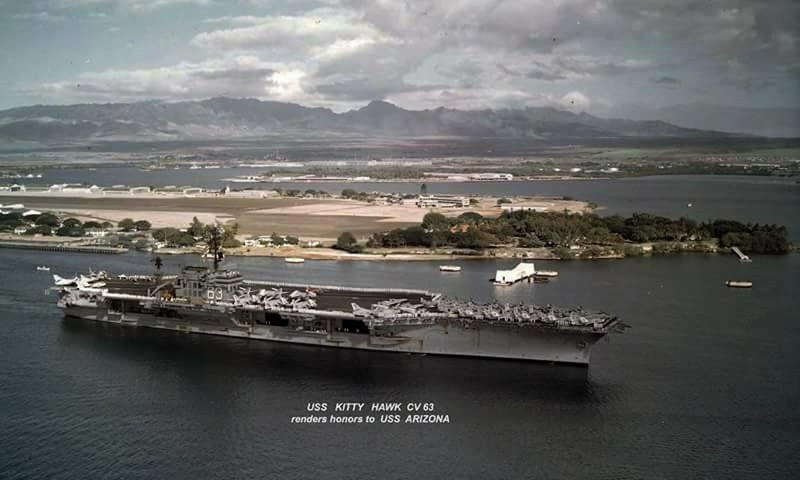 As you can see from the above U.S. Navy photo, all hands "manned the rails," an honor tradition that had us on deck in our dress white uniforms as we passed the memorial, which floats above the sunken battleship that went down during the Japanese sneak attack. I have a enlarged framed copy of this photo hanging in my basement office and library. 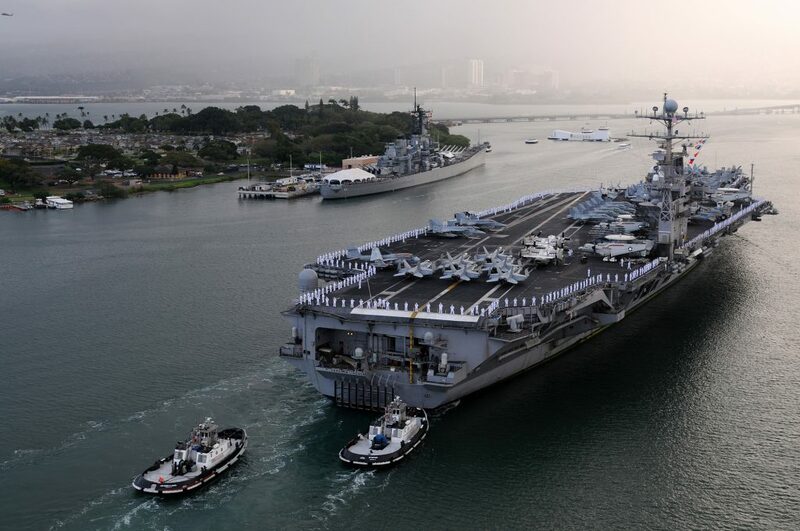 Note: In the above U.S. Navy photo, the aircraft carrier USS Abraham Lincoln, manning the rails, is shown entering Pearl Harbor for a visit in 2011. Paul, I was privileged to "man the rails" four times and went out to the Arizona Memorial once. I imagine the terror and horror experienced by those lost souls; however, I have a feeling that most sailors (more than any other Americans) can fully empathize with those souls. Twice for me and I visited the memorial while on a liberty call. The memorial, and this day, makes an old sailor think of those who died that day. I just came to realize that this practice existed; it touched my heart so deeply that it made me cry. God Bless America, and God bless the men and women who protect her.